Tom Hardy is enormously entertaining to watch as the Kray Twins and that is what makes Legend better than it really is. It begins with the best stuff with a dark sense of humor that makes it more interesting. But everything only becomes more dull once it puts on a more serious face in the second half of the film. Emily Browning is alright as the love interest but Christopher Eccleston is one-note as the cop trying to stop the Krays. Tom Hardy stars as both Ronnie and Reggie Kray, the notorious gangsters who ruled the East End during the 1960's. 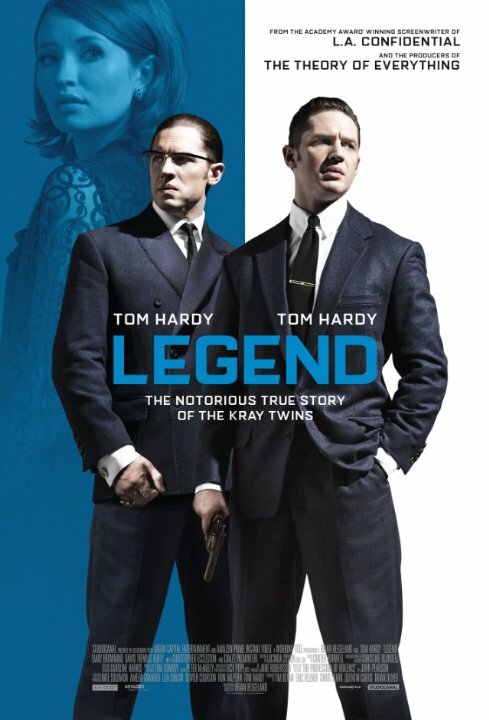 'Legend' is an average (at best) crime drama/biography upholstered by an energetic and hugely entertaining lead dual role from Tom Hardy. Multiple characters, or twins, are hard to pull of in a film. Hardy manages to make that feat look effortless with his portrayal of notoriously famous gangster twins, the Kray Brothers. Crazy violent outbursts punctuate a typical structure, making routine mundane scenes suddenly pop. I was never invested in the story, but I was consistently entertained by Hardy and the other performers. I especially felt for Browning's character who marries one of the brothers. Though, her narration during the film wasn't all too necessary. There's enough to like here, just don't be expecting a solid crime drama to go along with the memorable performance. "Come to Philadelphia! You see a nice girl, we'll get her for you! I prefer boys. Italians, sometimes Greek, but I am not prejudiced. " No posts have been made on this movie yet. 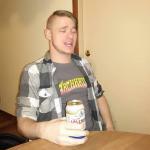 Be the first to start talking about Legend!